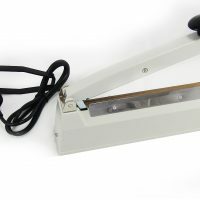 Premium table top heat sealer with cutter and retention magnet features. Available in either 300mm and 500mm sealing widths. Ideal for mid to high volume sealing with polythene and thin films. Roll holder and work table are sold separately. This HAWO HPL 300 BMS is a market leading table top heat sealer machine. 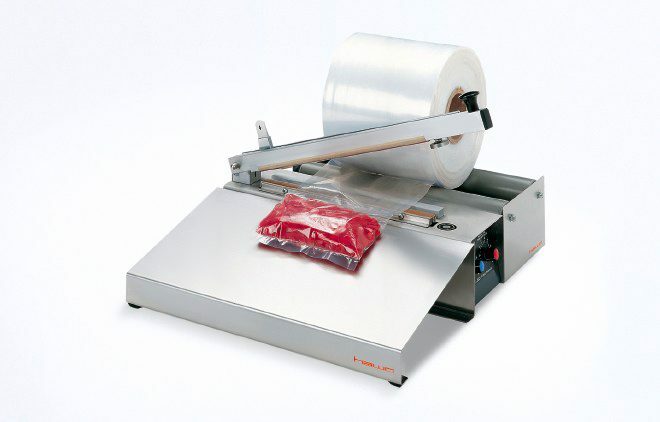 This impulse sealer can be used for sealing any thermoplastic film. 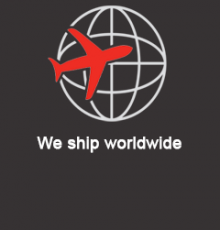 This includes all gauges of PE used for used in most lay flat tubing and poly bags. If you are looking for an impulse sealer with cutter function this machine is ideal. You can easily cut film to size ensuring that you are adaptable and not restricted when sealing sterile packaging that may vary in size. Unlike cheaper alternatives the seal quality is considered a ‘best in class’ ensuring that you achieve optimal seals with every seal. 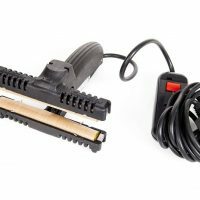 As this sealer is a table top unit you get maximum stability. 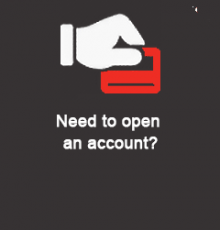 A useful feature especially when used for mid to volume sealing. It easier to maintain a consistent seal quality with a table top machine. 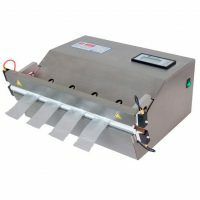 This impulse heat sealer can be bought as a stand alone unit or with the addition of the roll holder and work table for an even more efficient operation. These units are available in two sizes. Either a 300mm or 500mm sealing width. Both feature 3mm width sealing welds. A cutter and retention magnet. 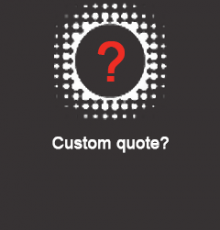 The premium build quality and design used on this HPL 300 lends itself to projects that require high quality seals to protect their goods from dust and damage in the supply chain. 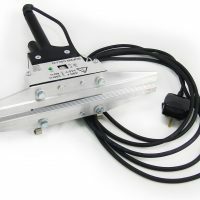 This product as sold is a stand alone heat sealer with cutter and retention magnet features. Roll holder and work table are sold separately. 3 – 4 Working Days.